As a huge Beatles fan I'm so happy to see our #wordrocks in such a special place. 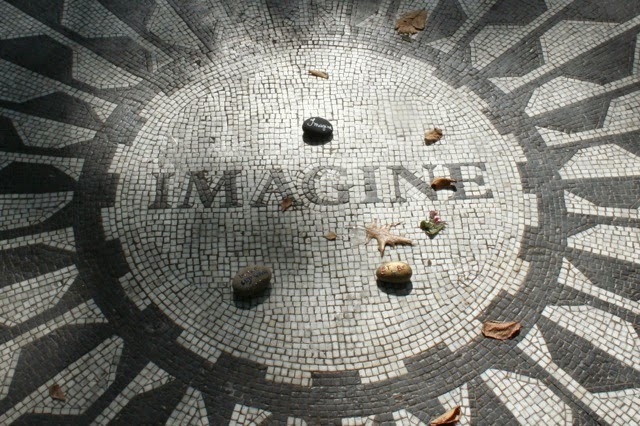 rock to place at Strawberry Fields, the John Lennon's memorial at Central Park. Today was the day. First I placed the rocks on the Imagine mosaic, then I placed them on benches. The “Imagine” rock was found and taken. The “Lucy” rock was seen several times but was not taken although someone did take a photo of it. When I left, it still had not been taken.